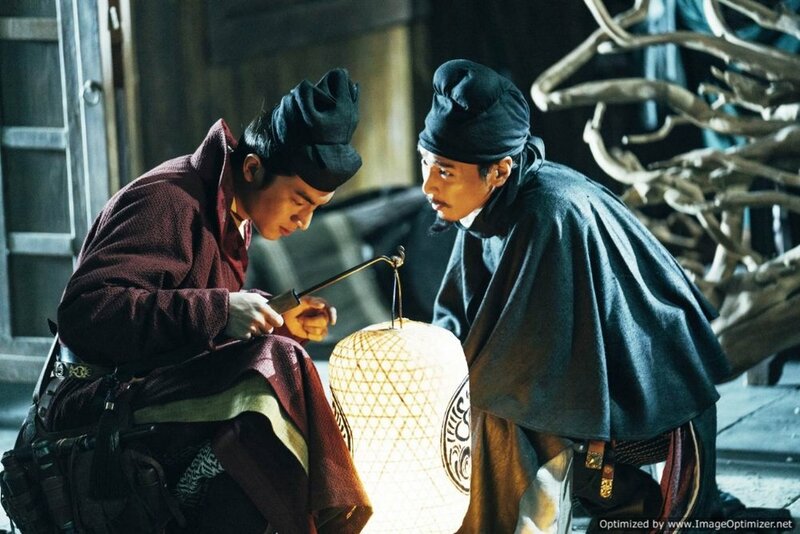 The Four Heavenly Kings marks the third film featuring Detective Dee, following Mystery of the Phantom Flame and its prequel, Young Detective Dee: Rise of the Sea Dragon. I'd previously seen Phantom Flame and although it is a visual feast it failed to engage in any other way. The Four Heavenly Kings redresses the balance, firing on all cylinders at once. 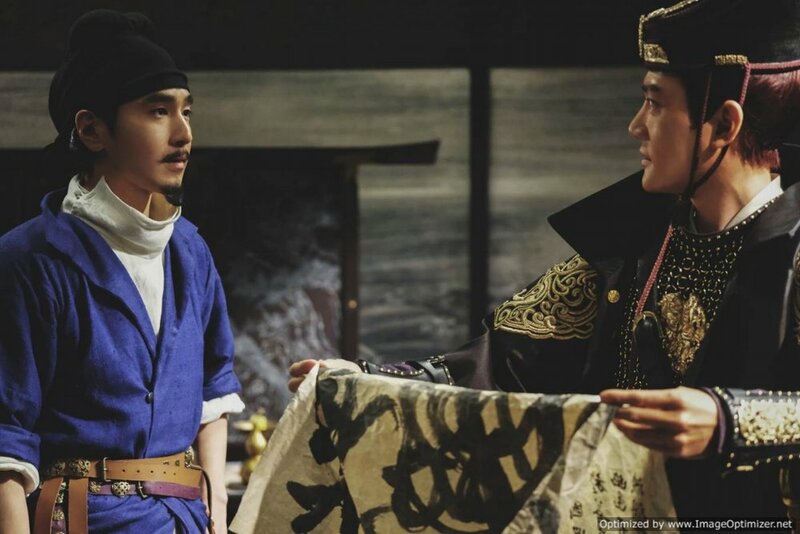 In order to show up Dee, the Empress orders Yuchi Zhenjin - one of the Emperor's most trusted commanders and a close friend of Dee - to steal the Dragon Taming Mace from Dee. With the promise that Dee won't face any repercussions for losing the mace, Yuchi agrees, and hires a quintet of sorcerers and warriors to help him. These warriors and sorcerers provide a great visual spectacle, and it’s a shame that the film isn't being presented in 3D, which is the format it was filmed in. This is one film which will benefit from being seen in the highest definition possible. Its not long before Dee is presented with a mystery to investigate and it is great to see him in action. The scene in the artist's studio is brilliantly staged, fast paced yet never leaves the audience wondering what is happening. Even more impressive to see, is that Dee is surrounded by competent and skilled investigators and constables. I can't help but think that these guys would be nothing but dunderheads and cannon fodder in a western production in order to show the hero in a better light, but here they are allowed to show their mettle. Tsui Hark's films are always great to view but at times have an overblown or muddled plot. This isn't the case here - while the plot does have a lot of pieces in play, you never feel overwhelmed by it. There are some great dialogue scenes including a coded exchange between Dee and Yuchi. The art design for this film is exemplary. This is especially true for the characters - not just the quintet of sorcerers but also the shadow warriors who appear with their hypnotic masks. Even when the action gets CGI heavy towards the end, the creatures are pretty damn awesome to look at. 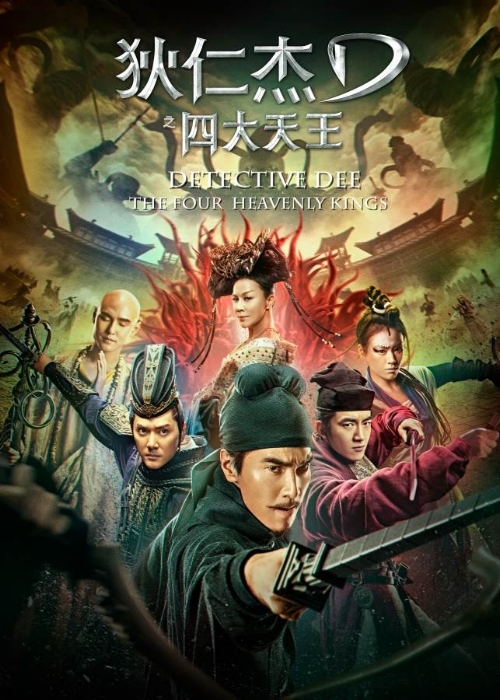 Detective Dee: The Four Heavenly Kings is one of the best fantasy movies I've seen in a while and I really hope it's given the 4K treatment when it hits home media - it deserves it.